"Most institutions charge students the same or more for online programs than for face-to-face. 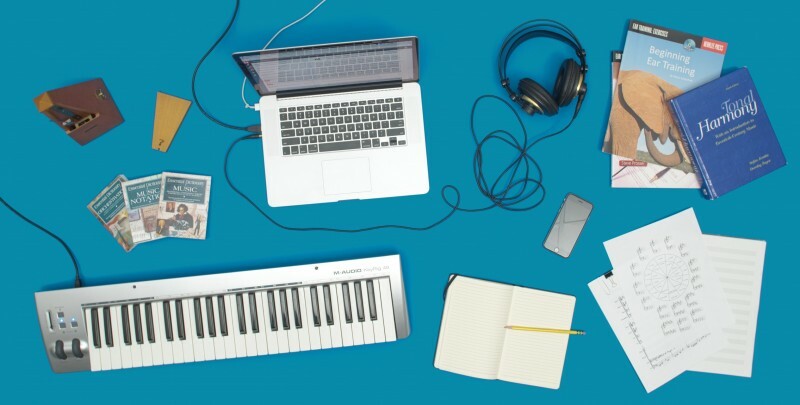 Berklee has found success with a pricing model that favors online students"
notes Mark Lieberman, Digital Learning Reporter at Inside Higher Ed. The online program has attracted several distinct groups that wouldn’t have enrolled in a face-to-face program, according to Cavalier. Aside from federal financial aid requirements, students can complete their online degree at their own pace. Some students who dropped out as many as 40 years ago have resumed their degree programs in the online format, Cavalier said. Entrepreneurs, like Jim Kerr of Orbitz and Walgreens, looking to indulge their latent music passions as a side pursuit. Military students nearing completion of their duties and looking for a new career path. “This is the best part of their week,” Cavalier said of their online classes. Teachers and professional musicians who have had successful careers and even won Grammy awards, but who eventually realize they don’t have the degree qualifications to shift to teaching in higher education. “A lot of people who are known for one thing are taking courses with us to bone up on areas they’re not well versed in,” Cavalier said. Though some observers would assume the program’s quality must be lower than that of the face-to-face program, Cavalier insists that’s not the case, thanks to a homegrown learning management system, a robust student success and advising team, and a highly qualified stable of instructors.